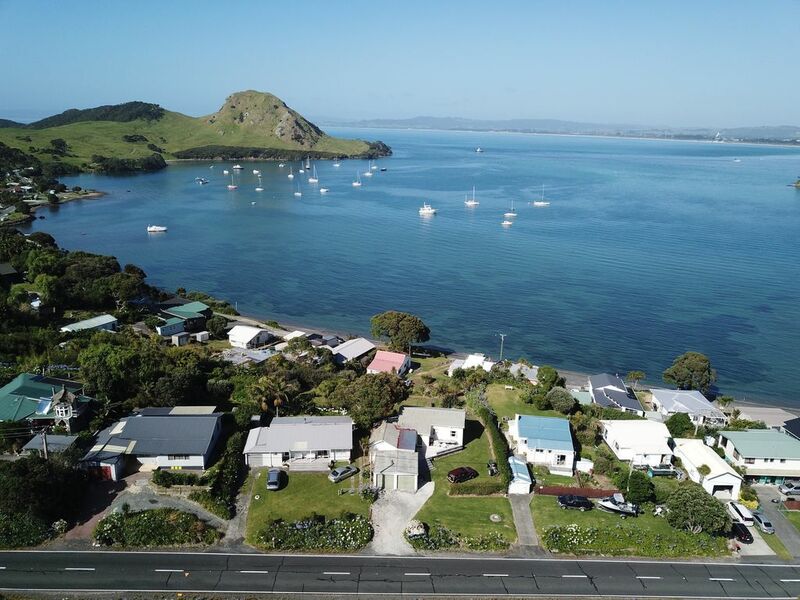 Welcome to Pen Bryn, the "house on the hill" over looking the majestic Whangarei Harbour. If you seek a real traditional Kiwi bach, minutes walk to beach, uninterrupted views and all day sun, this is for you. Fully self contained, this slice of history oozes holiday and is available all year round. Situated in sheltered Urquhart's Bay on the Whangarei Heads peninsula, 35 minutes from Whangarei CBD. Only 3km from Ocean Beach, famous for it's clean white sand, surf and sun. Beach patrolled during Summer months. The surrounding hills and native bush reserves offer fantastic walking tracks, taking you to some world class views and serene beaches. Whatever your fitness level there's something for everyone. The Whangarei Harbour is a large aquatic playground, perfect for fishing, diving, swimming boating and more extreme water sports. It is also the gateway to the outer Islands and an endless coastline. Boats can be launched from most beaches and most tides. Close by there is a tennis court and general store, affiliated Mania club, cafe and takeaway and boat hire. At Parua Bay is a fuel station with gas and dive fills, a small shopping complex, medical center and salon, tavern, boat club, refuse station and golf course. NOTE: There is limited off street parking for multiple vehicles/large boats during Xmas, just chat with the neighbours and they will ensure there is easy access for you. This is not the environment to sit inside with video games, get out there, this is baching at its best. Any time spent here will be too short! Refer to provided Terms andamp; Conds/ Invoice for rules of bach use. Cleaning fee of $45 or $90 applies (dependent on numbers staying and/or length of tenure, or linen requested). A deposit of 50% is required to confirm booking, balance to be paid 14 days prior to tenure. Pets ONLY allowed with prior approval. NOTE: There is a rubbish transfer station in Parua Bay. Rubbish is to be removed from property if leaving when regular pick up is not due. Expansive harbour view from bach and front lawn area. Linen and towels can be provided upon request. An extra cost of $45 is required. Pines Golf Club, Parua Bay. Great Kiwi Bach. Second time we have stayed at this property. Very clean. Everything one could need and the location has the best views of the bay and easy access to walking tracks. Love this Bach and am so grateful to the owners that they allow us to enjoy their little piece of paradise. We loved this bach because it had such an inviting and lived in feel. It has been in the same family for six generations and we could tell a lot of good times with family have been spent there. It was a down to earth, unpretentious home with lots of nice touches like the hanging plants everywhere, pictures of the bach over the decades, a kitchen with everything you could possibly need, books, games and a vibe that was just so relaxing that it ended up being all that we did for the most part. And the views are outstanding and add to the sense of peace and relaxation. We look forward to another stay because it suits us to a T and is not all that far from where we live. Jimmy was a pleasure to deal with and very helpful. It is a pleasure to be of service. Positive comments make the effort of presenting this wonderful family Bach for rental all worthwhile. Tenants repeatedly rave about the cosy and character filled Bach, a real slice of Kiwi holiday yesteryear. It is important that this memory soaked oasis is kept as original as possible, a place to slow down and smell the sea air. So turn off those electronic devices, wind back the clock and just enjoy. Excellent private retreat! 5 minutes from stunning ocean beach. Jimmy most helpful and lots of local knowledge. Will definitely return. We had a wonderful stay. The Bach was fantastic and had everything we needed.